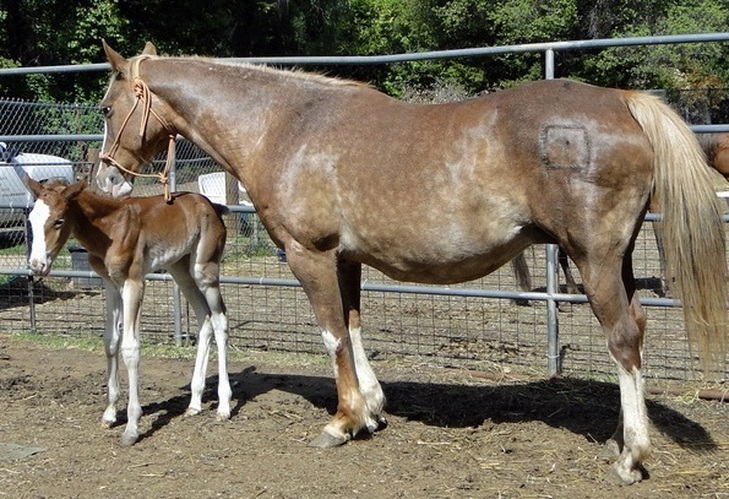 Willow and her filly, Jewel, arrived from a NV feedlot in May 2011. Willow's hooves and teeth showed extended neglect. Her toes were very long with sizable cracks and flares, and she had an enormous abscess in one hoof. As is often the case with the feedlot rescues, Willow was pregnant when she arrived and foaled in May 2012. Both fillies have been adopted but Willow is still waiting for her forever home. While she had lost trust for humans when she first arrived, Willow has made significant strides over the past year. She displays a calm, level-headed personality when given time to adjust to new situations. Big-bodied with lovely floating movement, she is looking for an experienced horse owner who will give her the training and confidence she needs to become their next dream riding partner.